Hello friends Sorry for my lack of posts lately my back has been playing up again but it is easing. 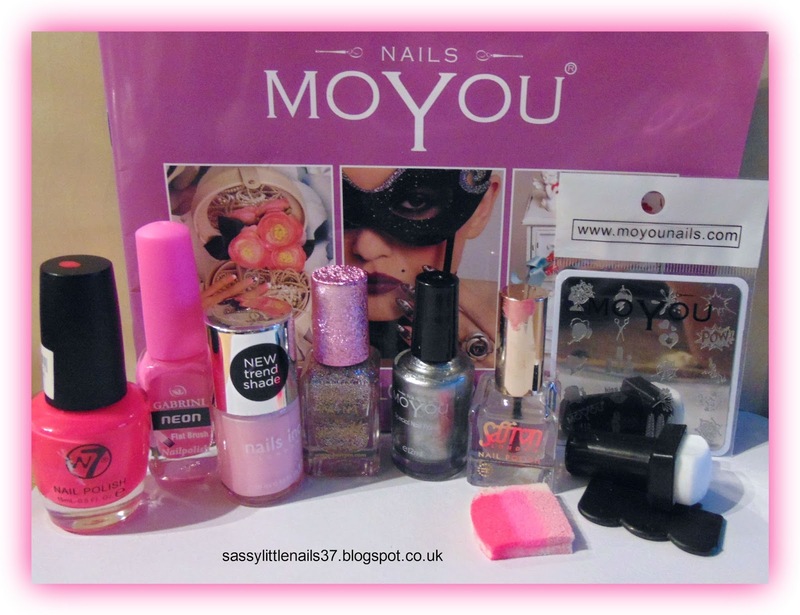 This is my last Moyou Nails square stamping plate review! A girl can never have too many floral designs, right? 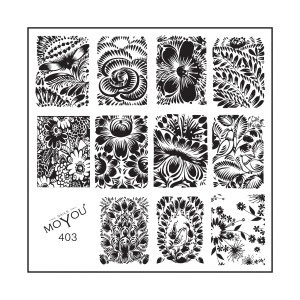 Good thing MoYou Nails have created an entire plate dedicated to flowers, plate 403. Our bigger image plate is definitely a plus, with 11 beautiful designs; your nails will make everyone think it’s always spring. The designs size range from 0.5 x 1.5 cm to 1.5 x 2 cm. The items I used are listed below. 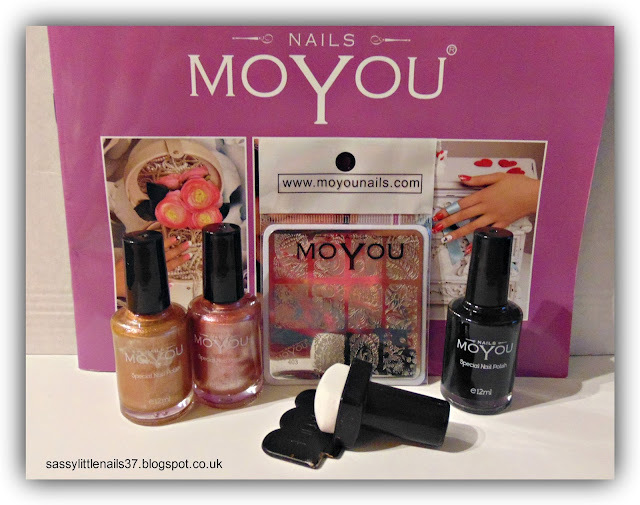 Moyou Nails special polishes (sorry no names ) in Bronze and Pink metallic and black. I started with 2 coats of the Pink metallic polish on the thumb and little finger nail. I gave 2 coats of black polish on the pointer and ring fingernail. Then on the middle I used the bronze polish. 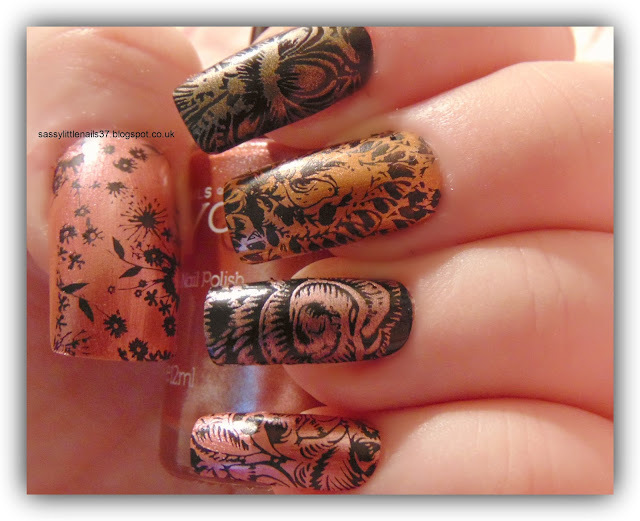 I also used the bronze polish to stamp the image onto the pointer fingernail. and I used the pink metallic polish to stamp a image onto the ring finger. I used the black polish to stamp on the rest of the nails. Hey friends Hope you all doing well. Today is the 40 Great nailart ideas-Red and my pattern is Splatter! 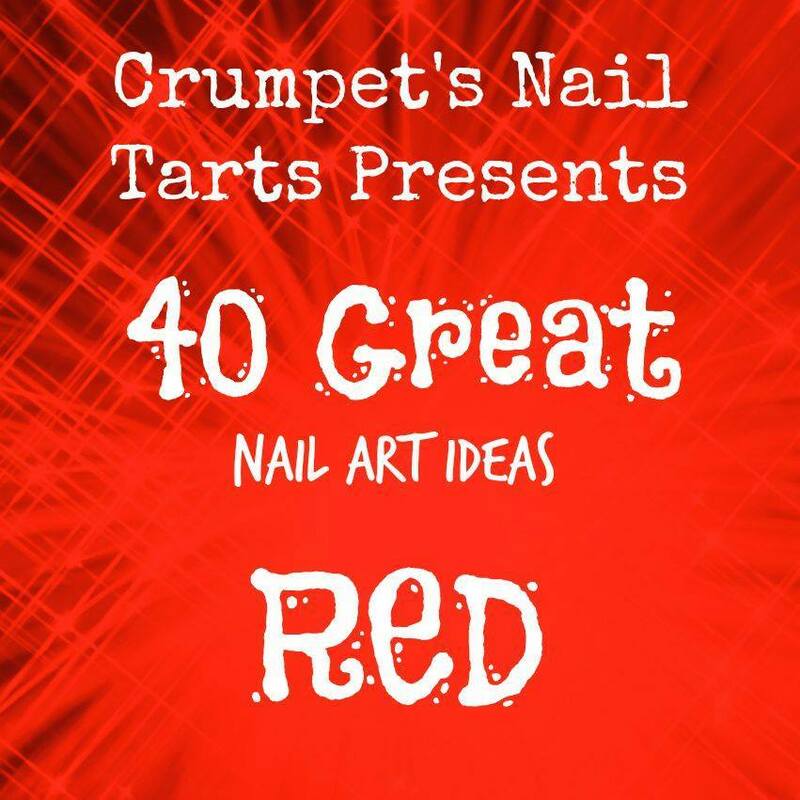 I began with the thumb and pointer and ring fingernails using 2 coats of the Tyra polish. when dry I went over them with the starcrossed polish. Then I used a few coats of the catrice polish on the middle and little fingernail. when dry fully I then took both polishes and the straw and blew the colours onto the nails for the splatter effect! 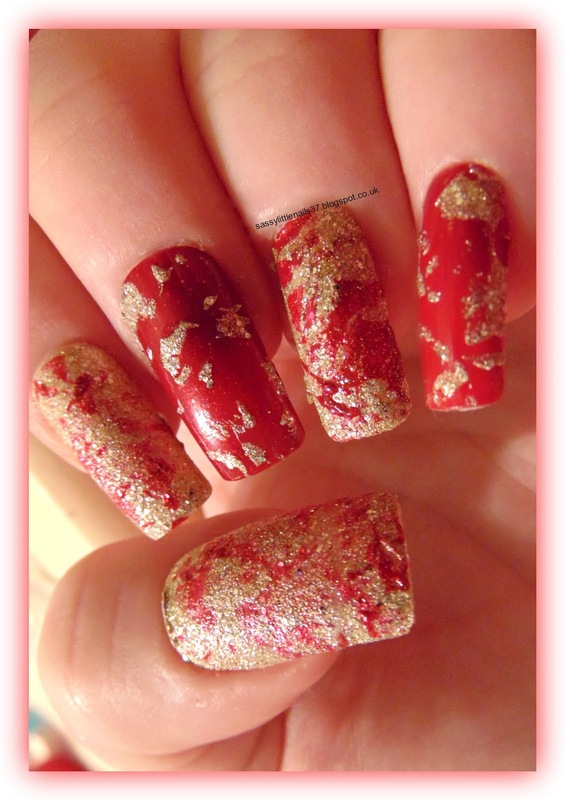 I hope you liked this fun nailart back shortly with more posts! Please check the nailart out below. 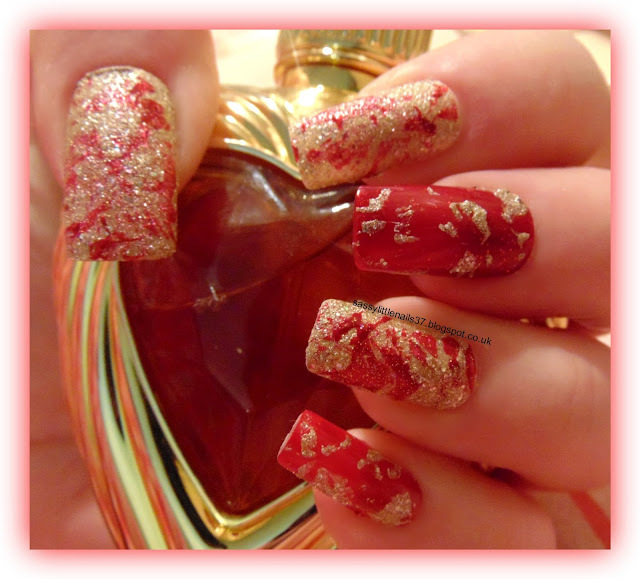 Hi friends This weeks theme is Love so I decided to do a cute mani with hearts. 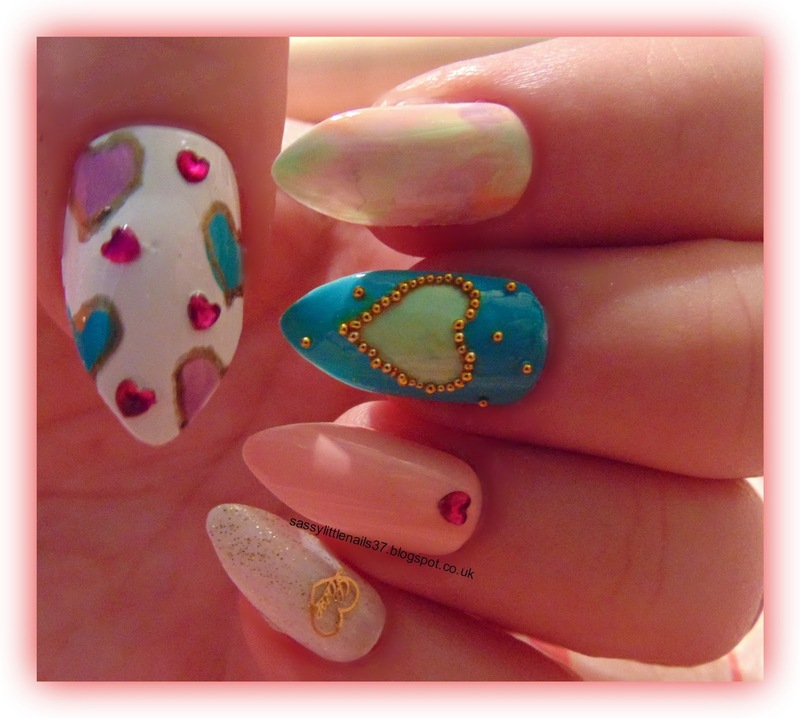 I used a white base coat on all nails then with the thumb I created some small heart shapes using a dotting tool and the different coloured polishes. I then used the gold marker to outline the hearts once fully dry then stuck on some heart rhinestones. 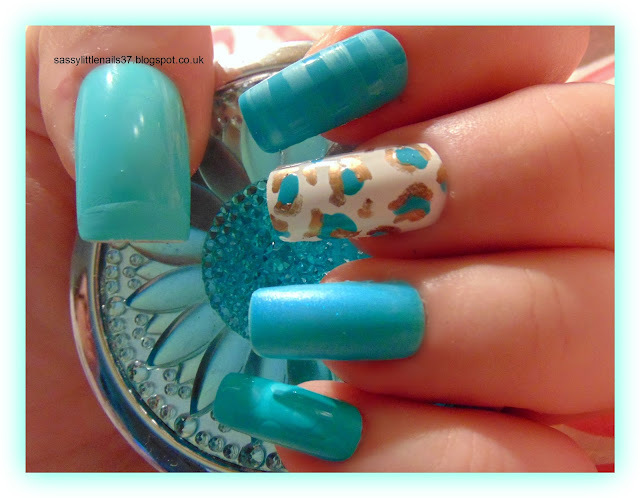 The pointer fingernail I used different blobs of colours and mixed them together with a dotting tool and a top coat. 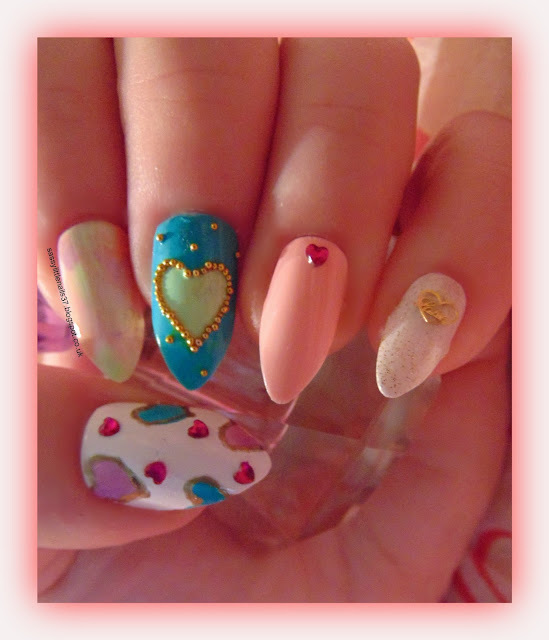 The middle finger I painted a coat of the mint polish then when dry I created a heart shape again using a dotting tool and when tacky I placed some beads around the heart and around the nail. The ring finger I gave 2 coats of the high brow peach polish and a rhinestone the little finger I used the Starcrossed polish and the 3D stud. 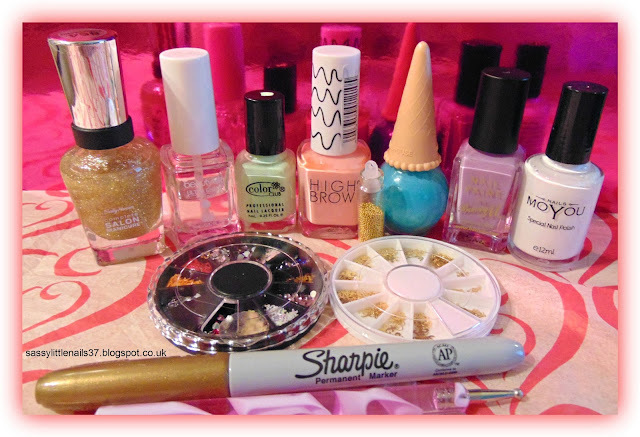 Thanks for stopping by please check out the lovely nailart below. Want to show off your new hair cut? 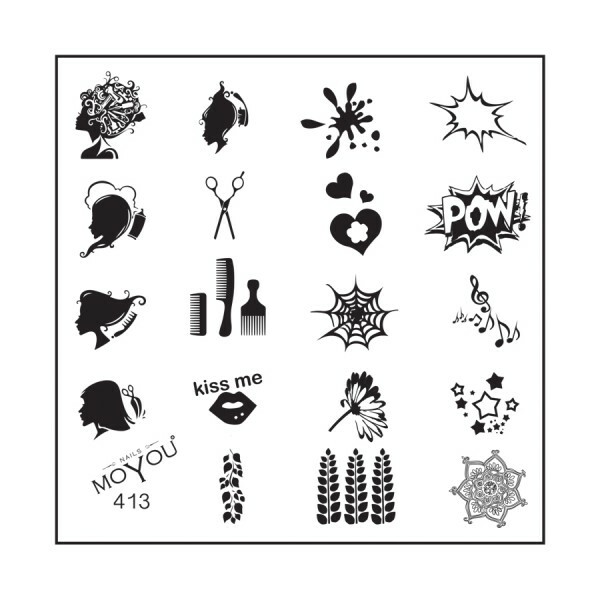 Why not do it with your nails and show them how it’s done with MoYou Nails image plate 413. For fabulous salon nails, this stamping plate is perfect. 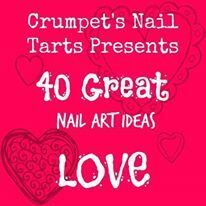 And why not add some small, beautiful art to your nails to jazz it up. 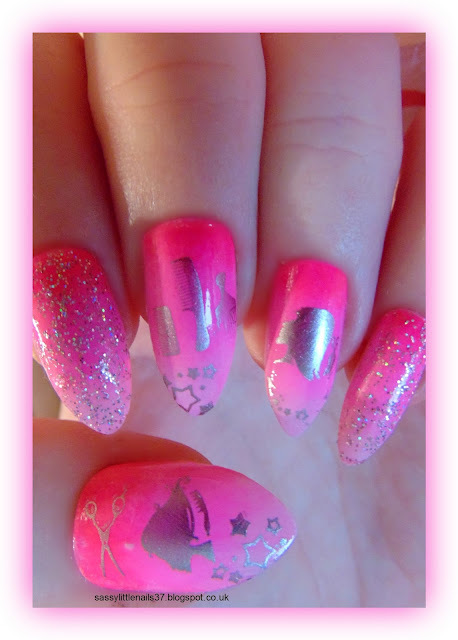 The designs size range from 0.5 x 1.5 cm to 1.5 x 2 cm The items are listed below for this nailart. I started with a white base coat then I applied the 3 shades of polish on to a makeup sponge and applied to all the nails I repeated this step about 4 times. 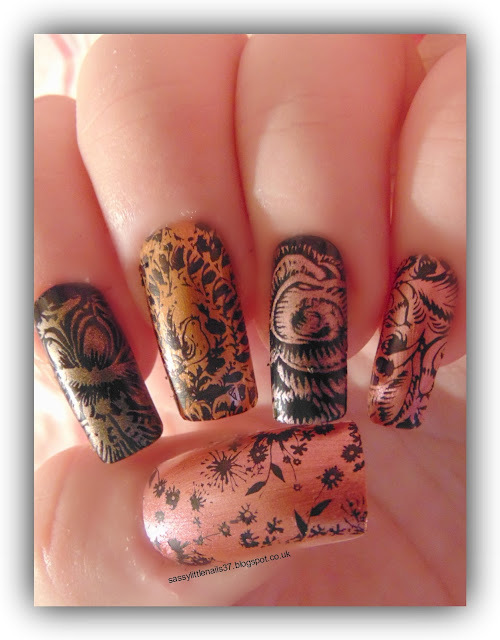 When fully dry I used the Silver polish to stamp the images on to the nails. 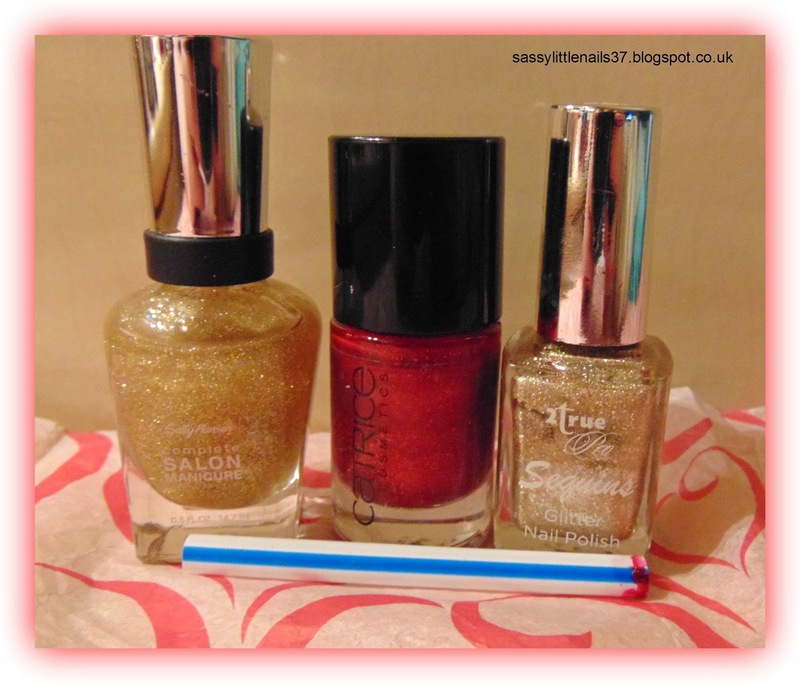 I used the Barry M glitter polish on the pointer and little finger and gave the others a clear top coat. 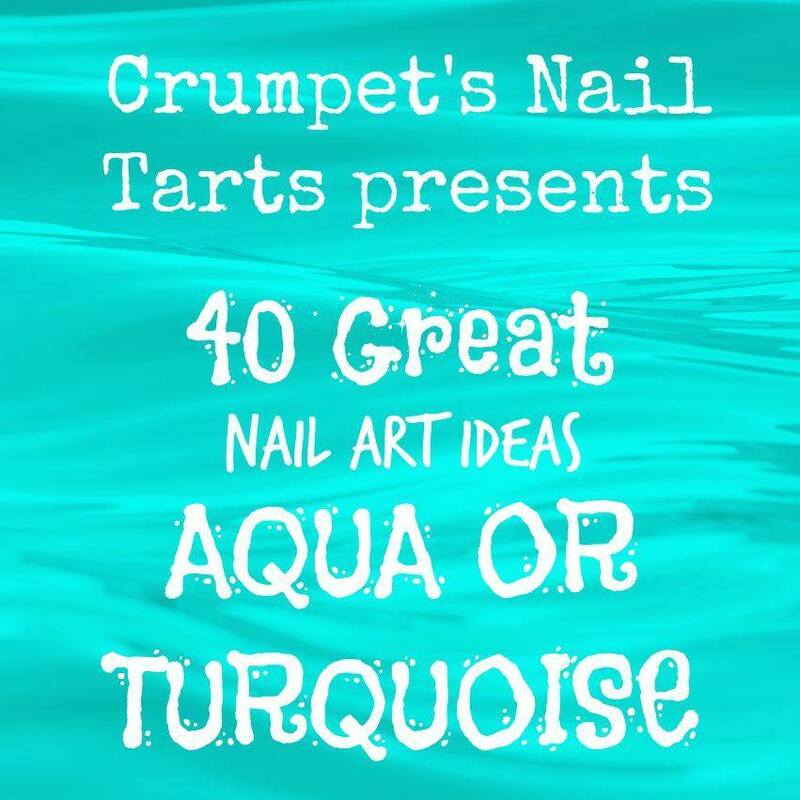 Hey friends This weeks challenge is Aqua or Turquoise and my pattern is skittles! Here are the items I used below. Then I painted 2 coats of the Moyou Nails mint green on the thumb nail The matte top coat across the nail edge. 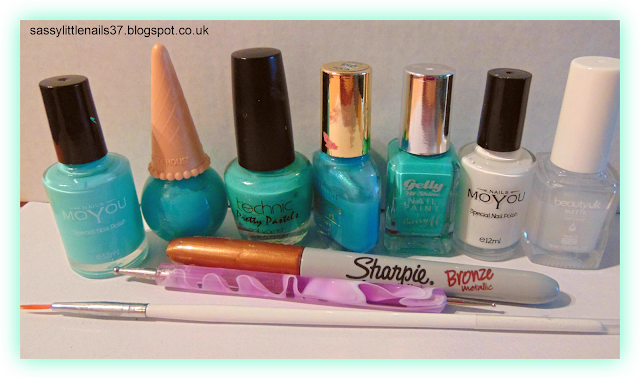 I gave 2 coats of the ice cream mint polish on the pointer nail using the matte polish I did stripes. The ring fingernail 2 coats of the Technic polish and theMaybelline polish over the top of it. The middle finger I used the dotting tool and the mint polish to create an accent nail of leopard print and I used the bronze marker for this also. The little fingernail I used the Barry M paint and then matte dots over the nail. More posts coming up next week. Have a lovely fabulous weekend!